The success of any cloud migration depends on partnering with the right vendor. A vendor that is capable of delivering a seamless experience and ongoing, cost-effective performance. But who should that vendor be? 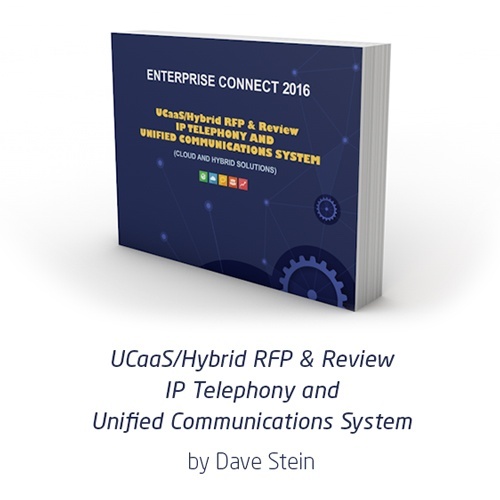 IP Telephony and Unified Communications System (Cloud and Hybrid Solutions), a free eBook from independent consultant David Stein of Stein Technology Consulting Group, offers the unique chance to examine cloud and hybrid cloud solutions based on actual vendor RFP proposals. This eBook, based on Stein’s 2016 Enterprise Connect conference session, evaluates 7 proposed cloud and hybrid cloud-based solutions from 5 leading communications vendors based on a fictional 60-page ‘real-world’ RFP. Download this eBook to also understand NEC’s leadership position in cloud and hybrid cloud migration, the value of our cloud-based NEC UNIVERGE® Blue solution and the reason for making NEC your strategic communications and cloud communications partner.